The quickest way to update and future-proof your Commercial Property website. 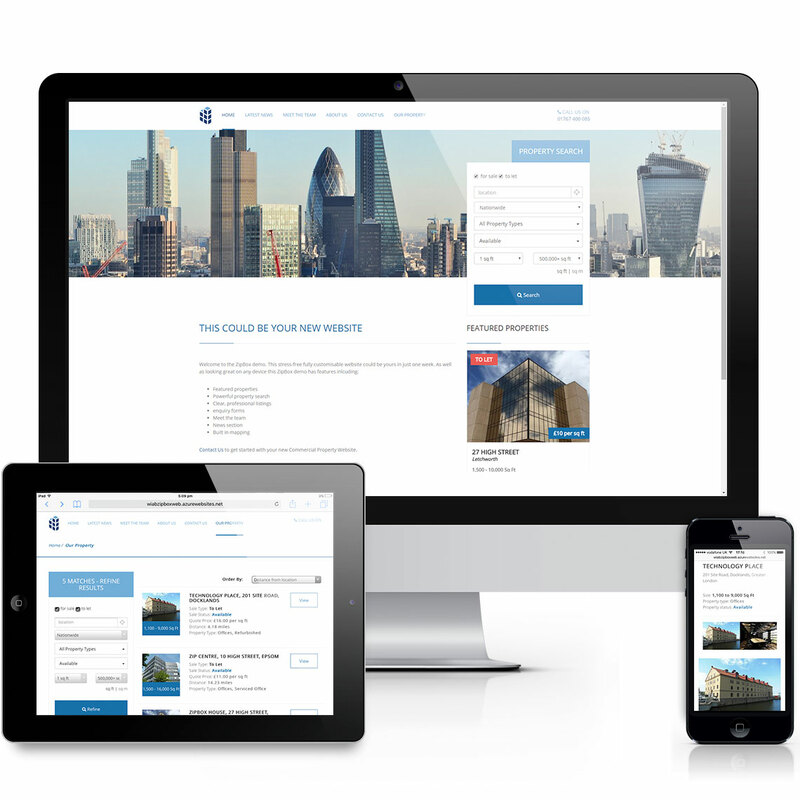 We understand that busy Commercial Property Professionals can lack the time or expertise to keep their website up to date. That's why on-line commercial property experts NovaLoca created ZipBox, a customisable web solution, tailor-made for Commercial Property businesses. Supply us with the colour scheme and logos for your brand and we'll make your ZipBox site look unique to your business. Properties listed on Novaloca automatically appear on your ZipBox website, saving you time and keeping it up to date. Add and edit content on your website including text, hyperlinks and media. Latest news articles are pulled through to the Home page keeping it fresh and interesting. We'll help you re-point your existing url to your new site on our Cloud Servers. We'll even assist with re-directing your old web pages to help you retain your Search Engine Optimisation.